937 Portland Condos is a 114 home, 16 floor condominium centrally located in the heart of Portland’s Pearl District just steps from the Portland Streetcar. This award winning building is one of three high-rise condominiums in the U.S. that are LEED Platinum certified. 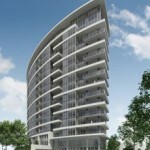 937 features a unique exterior design and innovative floor plans designed to maximize light. Inside the residences, timeless simplicity translates into class and stylish livability. Attentive concierge service and easy access to Portland’s shops and restaurants help make 937 a lifestyle. The Atwater Place, a Portland condominium building in South Waterfront boost 212 luxury residential units five of which are townhouses ranging in size from 1100 to 3700 square feet. Most will have views of the Willamette River and Mount Hood. Atwater Place is like living in your own custom home on the river as almost every condo has its own unique plan. 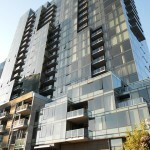 Just 125 feet from the water, the stepped glass box allows almost every condo an unobstructed view of the Willamette. The tower’s sculptured face is crafted in glass for a prismatic effect. The balconies cut into the façade with staggered recesses in the shear glass plane of the building’s face. Atwater Place also has a raised courtyard and ground-level plaza. This Portland Condo is a “green building” with a leed silver certification featuring gardens and eco-roofs. The building is in close proximity to the Portland Streetcar, providing convenient access to Downtown, Pearl District, NW 23rd Avenue and South Waterfront. The South Waterfront’s aerial tram provides a short ride to OHSU. 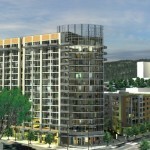 Portland condos The Casey is a 16 story condominium building featuring 61 urban energy-efficient condominium homes. Located in the heart of The Pearl District an art-rich neighborhood, The Casey integrated art that would be visible to the entire neighborhood into the architecture of its building. The Casey collaborated with neighboring Bullseye Glass and several artists to create a multi-faceted glass art installation featuring a textured art glass spire extending from the second floor to above the rooftop. 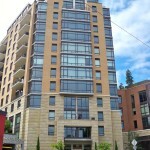 This Condo building includes the ultimate in sustainability/green living the “platinum” rating, 24/7 Security and Concierge makes this a very desirable Portland condo building to call home. 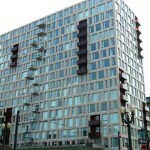 Portland Condos, The Civic is a 16 Story Tower which sits near the top of downtown West Burnside, strategically located by Portland’s most energetic urban boulevard. 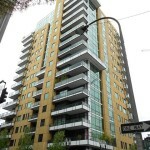 223 premier condominiums located in Downtown Portland’s cultural district at SW and Jefferson. Centered in the heart of Portland, the Eliot Tower quite literally places the city at your doorstep with dining, shopping, art, outdoor recreation, transportation all in the space of just a few blocks. Grab a latte at the Starbucks inside the new Downtown Portland Safeway across the street. Stroll through the cathedral of trees that make up the South Park Blocks. Take in a show at the Arlene Schnitzer Concert Hall, or an exhibition at the Portland Art Museum or hop the Streetcar line to the Pearl District and Northwest Portland. The possibilities are countless and just steps away. Building amenities at Eliot Tower include a library, fitness center, and 24-hour concierge and meeting room. 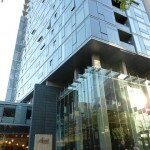 Portland Condos, The Encore is located on the edge of the North Pearl District. Portland Condos, The Henry is a striking 15-story condominium building adjacent to the historic Portland Armory Building as known as Portland Center State. 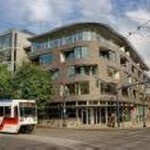 This sophisticated Pearl District building offers 123 luxury condos that range in size from about 755 to 2,945 sq. ft. Because The Henry Condominium is taller than most of its neighboring buildings it commands dramatic views of downtown, the west hills and the Pearl District. The Henry is located on the Portland Streetcar line providing easy access to downtown, the South Waterfront and NW 23rd area neighborhood. These condo home amenities include floor plans with defined living spaces and graduated ceiling heights; dramatic lobby with Bullseye glass light installation; state of the art security and concierge service. The Henry is a “green building” meeting Leadership in Energy and Environmental Design (LEED) requirements. Ground floor retail includes Adidas Originals and Lucy. The Jefferson a Portland condominium building is strategically located in the heart of Portland’s historic Goose Hollow neighborhood. The Jefferson Condos offers the ultimate in urban condo living: Beautiful and contemporary architecture in an high demand location close to many of Portland diverse destinations. The Jefferson Condominiums represents the finest in urban Portland condo living. A place where convenience, style and comfort are superior, offering condos with all the amenities and luxuries you would expect in an modern 21st century condo building. Enjoy large glass windows, high ceilings, spacious rooms, bamboo flooring, usable outdoor decks and a living green roof all while being located in Portland’s historic Goose Hollow district close to the Pearl District, Downtown Cultural District and South Waterfront. Centrally located near the max and city bus lines, This Portland condo building provides you with the freedom to live without your car, while maintaining the principles of wonderful architecture and mixed-use construction, providing a home with a premium Portland urban lifestyle. Residents at Portland Condos the John Ross building located at South Waterfront can enjoy a 5th floor terrace overlooking the neighboring 2 acre park. The Portland Streetcar and Aerial Tram are just steps away from your front door. The modern condos at the John Ross condominium building feature Viking and Bosch appliances, solid-surface counter tops, hardwood floors and deeded parking. Most homes also have terraces from which to enjoy the great city, Willamette River and mountain views. Tower homes feature cutting-edge fixtures, including Viking Designer Series and Bosch appliances, Silestone quartz counter tops, hardwood floors and 100% wool carpet. Building amenities include a 5th floor garden terrace with raised planting beds, barbecue grills and seating. Building amenities include a 5th floor garden terrace with raised planting beds, barbecue grills and seating. It also feature a dramatic lobby and urban plaza in the heart of South Waterfront near the Portland Streetcar for easy access to Downtown, the Pearl District and NW 23rd neighborhoods. 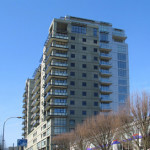 Portland Condos, The Meriwether Condominiums was the first project developed in Portland’s South Waterfront district known as the River Blocks in 2006. Located on the Willamette River’s edge, the elegant Meriwether towers boost 245 condo units, with 55 premier and penthouse condos on the top floors, 46 condos residences in the East Tower, 126 condos in the West Tower, and 17 ground level Townhouses. 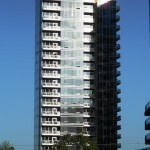 These twin towers rise 21 and 25 stories giving an incredible river, city and mountain views in many of the condo units. Condos amenities include graduated ceiling heights, defined rooms, hardwood entry doors, spacious full height windows and gourmet kitchens. The building is in close proximity to the Portland Streetcar, providing convenient access to downtown, Pearl District, NW 23rd Avenue and South Waterfront. The South Waterfront’s aerial tram provides a short ride to OHSU. Portland Condos, The Metropolitan comprised of 121 large and luxurious condos in a 19-story tower, an adjoining 4-story building with 12 live/work loft style condos, retail and two stories of underground parking. The 225 foot tall Metropolitan is the tallest building in the Pearl District and offers excellent views of the mountains and the Willamette River. Views are maximized by the tower’s slender design, which also allow plenty of daylight into these Portland condominiums. The Metropolitan includes amenities such as a two-story travertine and wood clad Lobby with concierge service, fitness room, a library, guest suites and conference facilities. This Portland condo building has its very own club facilities including a lounge with a wine bar and individual wine storage and a second floor roof garden. The roof garden is a beautifully landscaped area for relaxing and parties and a guest cottage for summer parties. 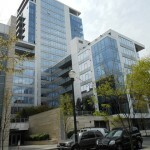 The Metropolitan Condominium is a “green building” with a LEED Sliver designation. An exquisite Portland condo building in which to call your next home located in the heart of the Pearl District. Portland Condos, The Westerly Condominiums is a 14 story luxurious high rise with 104 spacious condos, townhouses and penthouse condos.